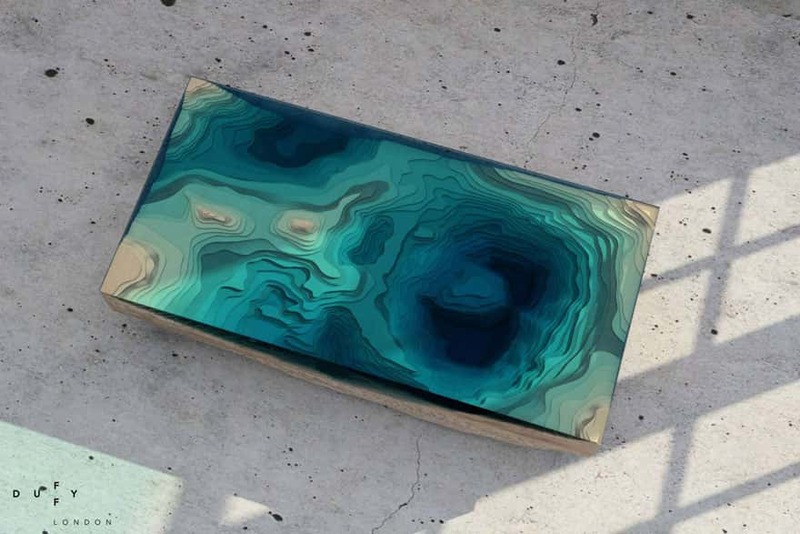 This Amazing Layered Glass Table was designed by Duffy, London. 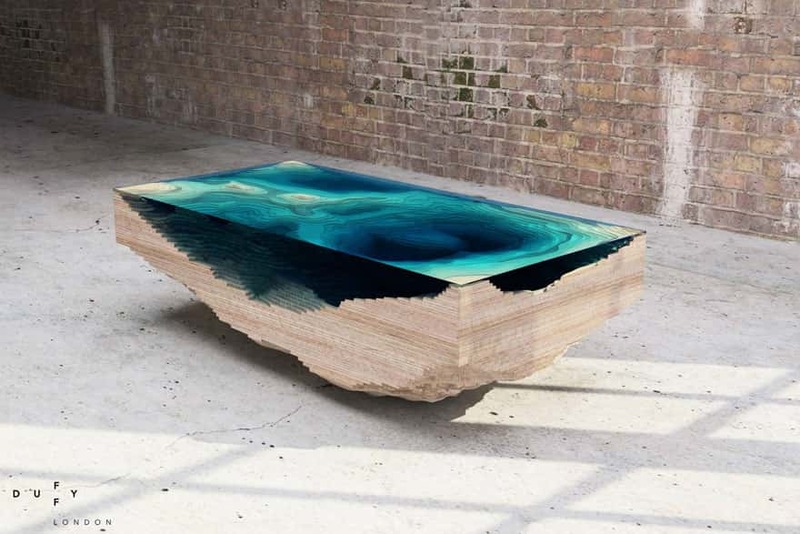 It is called 'The Abyss' and has been inspired by the ocean. 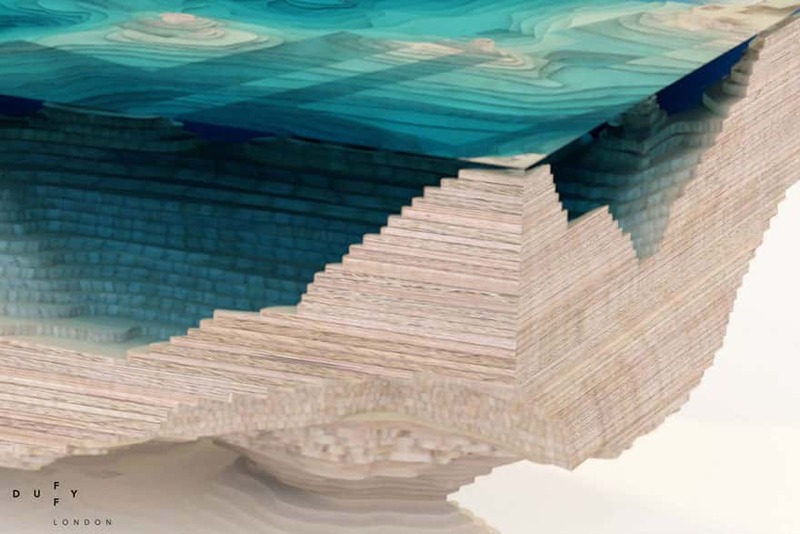 The layers have been created to give the illusion of depth, representing the mystery and awe of the deep blue sea. Many layers of glass and wood have been used to create this masterpiece. 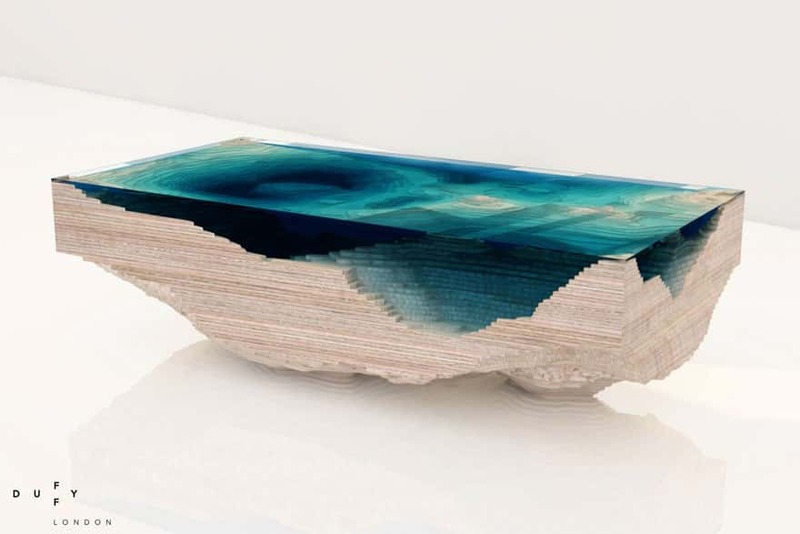 A 3D geographical map bought to life as a stunning piece of furniture. 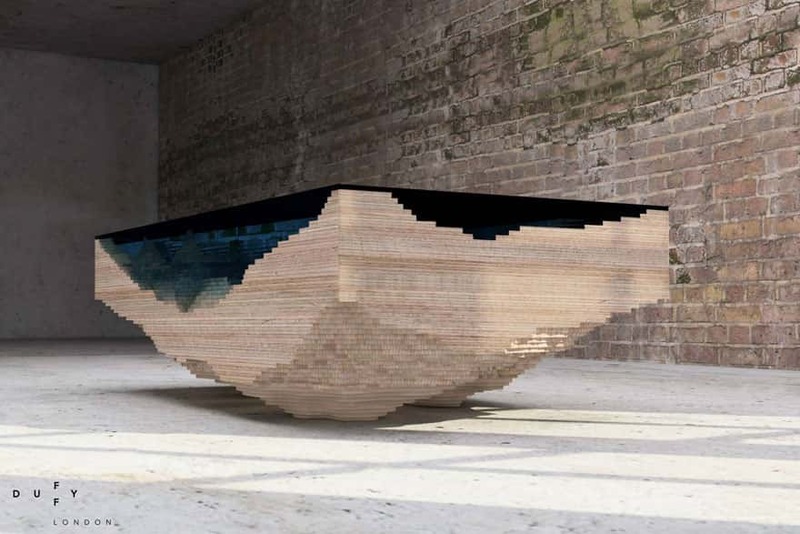 The designer, Chris Duffy said he first got the idea to create this table when looking at sheets of glass in his workshop. He noticed that sheets of thick glass appeared darker as more layers were added. The ocean works the same way, it appears darker as it deepens. 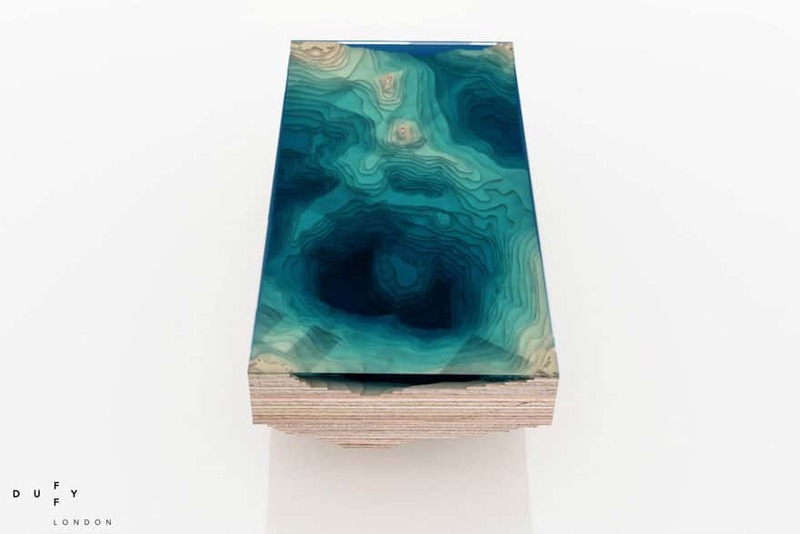 He then decided to use this effect to recreate a piece of the earth's sea bed.